Jalaja Bonheim is the originator of Circlework and the founder and director of the Institute for Circlework, a non-profit organization based in Ithaca, NY. For detailed information about Circlework, the Circlework Leadership Training, scholarship opportunities and the work of the Institute for Circlework both in the United States and elsewhere, please visit www.instituteforcirclework.org. Circle gatherings are an ancient tool used by peoples around the world to heal and strengthen their communities. Today, circles are helping us do the same. They can restore our sense of wholeness, mend broken relationships, lay the foundation for peace and unite us beyond race and religion, culture and politics. Circlework immerses us in a field of love so powerful that we awaken to our oneness. We emerge knowing, in an embodied, visceral way, that we are part of a single human family and a single planetary community. As a result, our relationships naturally begin to transform. Circlework is a deeply nourishing experience, in part because of its spaciousness and in part because people feel so supported and accepted, heard and seen. Circlework contains both verbal and non-verbal elements. There’s discussion, deep sharing and storytelling, but also movement, touch, silence, and immersion in the beauty of music and nature. Nobody emerges from a circle unchanged. Energetically, we begin to feel a sense of inner alignment and wholeness. We even start to look different—our faces may look softer, younger, more open. Why? Because now, we are embodying the mandala. Which is to say, we are manifesting the qualities of balance, harmony, centeredness and wholeness that are its intrinsic gifts. 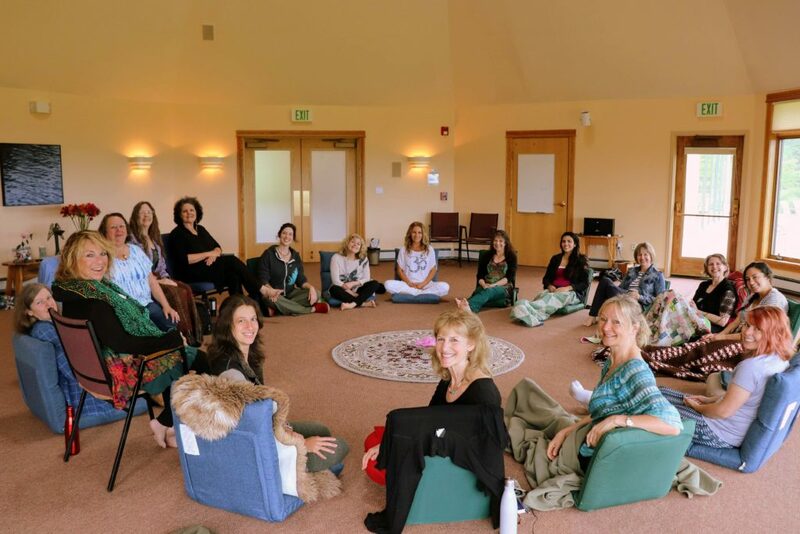 Circlework is a profoundly sacred experience that connects us with our hearts and with what has meaning, purpose and passion for us. It addresses our hunger for deeper, more authentic experiences of connection with ourselves, others, and the cosmos. Dedicated to our collective healing and transformation, it supports the powerful wave of new awareness that is transforming human consciousness today. 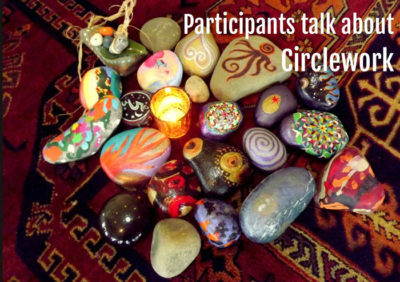 Circlework approaches the circle as a universal symbol of Spirit, and uses various practices and meditations to guide participants into sacred space and awaken them to the circle as an inner source of power, wisdom and guidance. Circlework addresses our basic need for spiritual communion while revealing the beauty and value within everyone. Because it’s a non-religious practice, it can unite people of diverse faiths (or no faith). In a world devastated by religious strife, it provides a way for people to accept and transcend their religious differences. To maintain harmonious, peaceful relationships, we need a range of qualities that belong equally to both men and women, but have traditionally been associated with the feminine, such as gentleness, tenderness and receptivity. Circlework transforms our lives and relationships by helping us cultivate these qualities within ourselves and our relationships. As long as women remain oppressed and abused, we will never manage to create a peaceful global civilization. Therefore the empowerment of women is one of the main aims of Circlework. Circlework helps women rediscover their sisterhood and claim their feminine power. Jalaja’s circles unite women from all over the world. A particular focus of her work has been the Middle East, where she unites Jewish and Palestinian women and mentors women peacemakers. Circlework is an effective way of providing what Jalaja calls “relational education.” As the name implies, relational education empowers us to maintain harmonious and fulfilling relationships with other individuals, but also with groups and nations. At present, the relational shortcomings of our species are causing immense misery. Circlework gives us a way to acquire and share the relational skills that help us maintain harmonious, satisfying relationships. How can we live in peace? How can we create a more harmonious world? How do we sustain nurturing relationships? These are examples of the questions that Circlework invites us to explore. For several decades, Jalaja has been training and mentoring women circle leaders from around the world. Her US based trainings attract women, not only from around the US and Canada, but also from India, Afghanistan, Kenya, Israel, Palestine, Australia and many other nations. Trainees include therapists and counselors, activists and healers, business people and religious leaders. 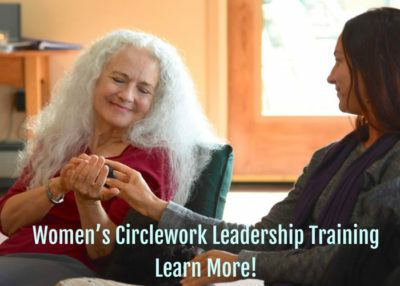 The Institute for Circlework provides partial and full scholarships that have enabled women from all parts of the world to participate in the Circlework Leadership Training. If you would like to attend the training but need financial assistance, please contact us. Want to know more about Circlework Training? Click here.